Review Summary: A short, interesting trip to Boards of Canada's own private world, and the pleasant, rich soundscapes they create out of electronics and noise. Boards of Canada are damn good at what they do. And what they do is create Experimental Electronica, ambient soundscapes that are pleasing to the ear and a measure of the intellect. They proved their know-how on 1997's godsend Music Has The Right To Children, an enduring testament to this Scottish duo's skill and talent. Children alternated between many modes spanning its seventeen tracks, but in the context of an EP, BoC take a different approach. In a Beautiful Place out in the Country is much more singularly focused, for good or ill, and the sonic interactions paint gray clouds in muted tones across a dull canvas on a frosty day, while the painter stands still and silent in his coat, wrapped inside his own world of dull warmth. Hey, these guys are intriguingly visual artists with their music, so I thought I'd give it shot when trying to describe them. So what if they're better than me. The real genius of Boards of Canada, though, is how they manage to take cold constructs of metal, plastic, and electronics and create warm, rich soundscapes and environments. The magic is how they can take strange, simple elements and combine them into a solid, unified whole that evokes beauty, mystery, and color. Take the odd sound clip that provides the beat in "Kid for Today" - what is it, the sound of a tape clicking into place" Who knows. Should it sound good over and over again" No. Does it work" Why, yes, it works perfectly. The title track washes over you in waves of haunting sound, with clips of children laughing quietly accompanying, as a heavily modified voice chants the album's title - a strange, mechanical beauty is created in this way, as there seems a strange mix of robotic disaffection and utterly human, longing desire infused in it. It's obvious that the two Scots behind the reigns actually listen to the music they make before saying "There, we're done. Let's go put it on market." There is enough subtle variety within individual tracks and between individual tracks to keep the listening experience consistently fresh and interesting. 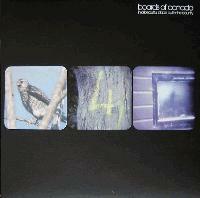 Boards of Canada are also very good at creating wonderful ambient music with just the right level of 'activity' - they fail to bore the listener as their music rolls around in the ear and in the mind. Nothing about this EP is particularly demanding of the listener's attention, but little flutters of action and brief moments of unknown stimuli often crop up to reinforce the lack of boring. For the overall album itself, it's a neat little charmer of an EP, running only about 24 minutes, allowing Boards of Canada more time for the their four tracks to develop over the course of several minutes each. Three out of four times, this results in the best possible outcome, but unfortunately, the EP falls flat on the closer "Zoetrope", which refuses to go anywhere. The track takes up simple harmonic dabbling in opposition of the clever combination of beats and chilling warmth that dominated the previous three tracks - the samples and swells are replaced by dynamically stagnant melodic and harmonic interactions which are quite pretty in small chunks, but drag on over the course of the track. However, on the three tracks that work, Boards of Canada give the listener their money's worth, but never quite go for anything to rival their earlier work from Music Has The Right To Children. Despite that it could have been improved upon, In a Beautiful Place out in the Country is still an incredibly satisfying listen, and worth its brief investment of time. Good review, I really like these guys. Good review, I need some more BoC. Great review, you described the album's sound incredibly well. I also find this to be BoC's best release, next to Music Has the Right to Children. Thanks guys, I had a good time writing this and I was hoping it'd come out alright. I definitely do recommend this one to anybody checking out BoC. Pretty cool, didn't really feel this one as strongly as some of their other work though. So consistently great to listen to. Classic BoC. Yotimi with the 5. Damn. I should probably check this out. Still gotta listen through all of their disc. the lp's are best but this is good if you crave more BoC. high 3.5, title track is one of their best songs. I'll prob jam it tonight some now that the review is finally freaking done. These guys have been on my list all week. one of my favourite groups of any genre dude. which albums have you heard from them? Just the tracks that you jammed out during dj sessions.